Dr. Mathis earned his doctorate in medicine from the Uniformed Services University School of Medicine in Bethesda, Maryland. He was trained in Family Medicine at Malcolm Grow USAF Medical Center and in Psychiatry at Walter Reed U.S. Army Medical Center in Washington, D.C. He has been practicing outpatient and emergency psychiatry in Howard County since 2001. 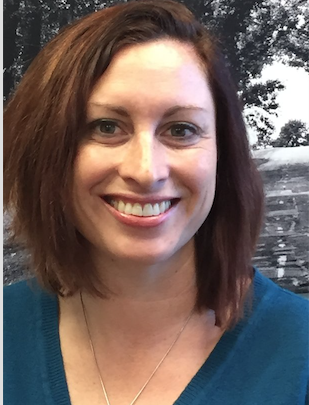 Genevieve Shaeffer is a Psychiatric Nurse Practitioner and was born and raised in Baltimore, MD. She has over 5 years experience in the mental health field, including working as a psychiatric nurse in both the inpatient and Emergency Department setting. She obtained her Bachelor of Arts from St. Mary’s College of Maryland and both her master’s degree and post-master’s certificate from the University of Maryland School of Nursing. She has a passion for the outdoors and brings a holistic, patient-centered approach to psychiatry. Mrs. Shaeffer currently accepts most major insurance plans. Temika has served in the advanced practice role for over 15 years. During her career. she has worked in the specialties of substance abuse and chemical dependency, internal medicine, retail-based health, nursing home care, and assisted living facilites. Temika's core values are to provide optimal patient-centered care that focus on attention to the individual, realizing that each patient is unique and has specific health needs. Temika believes in building a long lasting and trusting relationship with her patients. While in partnership with her patients, she ensures that confidentiality and safety are held paramount when working toward achieving mutually desired outcomes. Temika currently accepts most major insurances. Dr. Forbes graduated from Pepperdine University with a MA and EdD in Education. He also graduated from University of Maryland with his MS and has a post-graduate certification as a Family Nurse Practitioner and Psychiatric/Mental Health Advanced Practice Nurse; he is Board Certified in both. He is retired military having served in the Army as a Medic, and in the Army and Air Force Nurse Corps. He has 23 years of experience as a Nurse Practitioner. He has worked in service to veterans, the homeless, and patients with addictions. He has experience treating child and adolescent patients with depression, anxiety disorders, childhood trauma, PTSD, previous hospitalizations, self-injury, and problems at school and home. He has experience with adult patients with depression, psychosis, bipolar and other mood disorders, PTSD, OCD, and other psychiatric illnesses. He practices general psychiatry and sees patients of all ages. He treats the whole patient and believes that there is a place for medications and therapy to maximize effective treatment. Dr. Forbes is proficient in Spanish and accepts CareFirst, Blue Cross Blue Shield, Aetna, Cigna, and Johns Hopkins insurances. I am a Psychiatric Nurse Practitioner Board Certified to treat adults and children. I treat and prescribe psychiatric medications for adults with all mental health disorder and children with ADHD and mood disorders. I obtained my Doctorate in Nursing Practice and Master’s Degree from University of South Alabama. I have 8 years of experience working in every aspect of nursing field, including psychiatry. I have passion treating children and adults; my approach is grounded in my beliefs of evidence-base care along with a holistic and collaborative approach. Tierra Stewart was born and raised in Baltimore, Maryland. She received her undergraduate degree from University of Maryland School of Nursing in 2007 and returned again, completing her Masters of Science Degree in Nursing in 2012. Having more than 10 years of experience in the Psychiatric-Mental Health field, Tierra focuses not only on symptomology, but the client as a whole when developing and implementing treatment plans. She believes outcomes are better when there is a collaborative effort and that everyone has the power of resilience. Mrs. Stewart enjoys working with child, adolescent, adult, and geriatric clients. Her down to earth and relaxed nature makes you feel welcome, helping you realize you’re in good hands. William Haynes is a Board Certified Psychiatric Nurse Practitioner from Washington, DC. William has over 10 years’ experience as a psychiatric nurse, including serving as a charge nurse on inpatient hospital units and as a prescriber in outpatient facilities. He completed his undergraduate studies at Penn State University, obtaining a BSN degree, with honors. He continued his graduate studies at Shenandoah University where he received a master’s degree in psychiatric nursing. William treats all patients throughout the life span, seeing patients starting at the age of 4 years. He treats all areas of psychiatry, specializing in depressive, other mood, and psychotic disorders. He also treats addiction disorders and is a Suboxone provider. William strives to create a therapeutic alliance and a collaborative plan of care with his patients. Mr. Haynes currently accepts most major insurances.